Tag Archive | "Toshiba Thrive"
Today Only: Toshiba Thrive 10″ for $289, Arrives by Christmas! Weight 725gm / 25.6 oz. You can find more detailed specs at the Toshiba Thrive 10 tracking page in our mobile device database. While it isn’t the most streamlined tablet on the market, with a more ruggedized aesthetic than most, one of the best parts of the Toshiba Thrive 10 is that it has full-sized HDMI/USB/SD card slot, where most other tablets have micro variants of these ports. This means no adapting and no new cable purchases needed. You may like to have a look at our Toshiba Thrive 10 review roundup, and if 10″ is a bit too big, don’t forget that Toshiba also has the Thrive 7 on offer. If you’re interested in this deal, make up your mind quick as it’s only good until tonight at 1:00 AM EST, and Woot could sell out of even earlier! Check it out right here. Uncategorized Comments Off on Today Only: Toshiba Thrive 10″ for $289, Arrives by Christmas! 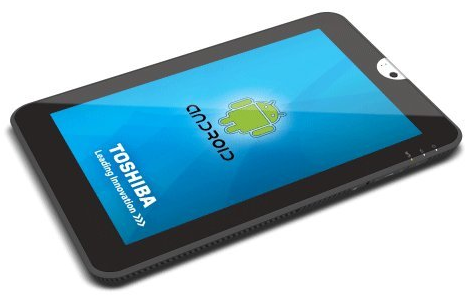 Toshiba is announcing the Thrive 7 today, a 7″ Honeycomb tablet which is the second addition to the Thrive series. 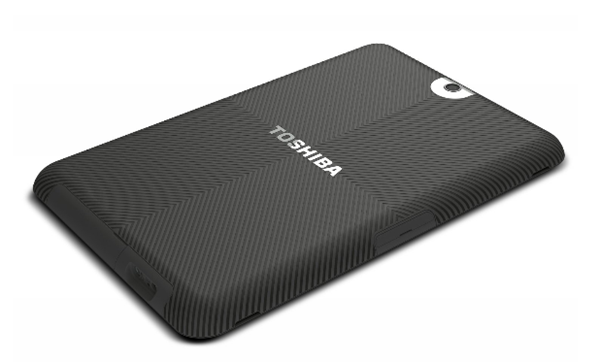 Toshiba described the Thrive 7 as a smaller version of the Thrive 10 and it will feature that same grip-friendly back. 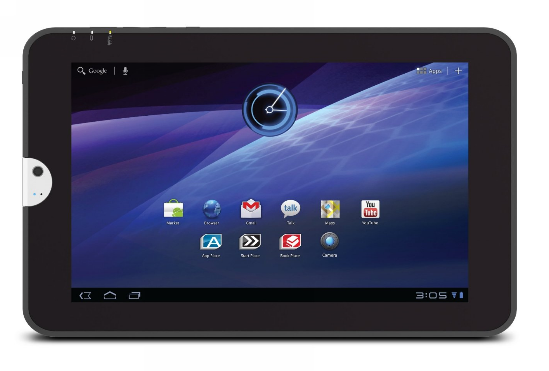 The Thrive 10 is a ‘utility’ tablet of sorts, featuring a range of full-sized ports. I was hoping that the Thrive 7 would retain these full-sized ports, but unfortunately they had to be shrunk to their smaller counterparts in order to fit inside of the Thrive 7. While other 7″ Honeycomb tablets have so far been released with 1024×600 screens, the Thrive 7 has been fitted with a 1280×800 LED backlit display. Honeycomb 3.2 is installed out of the box. The Thrive 7 uses that familiar Nvidia Tegra 2 platform that most Honeycomb tablets are using today, which means you’ll find a 1GHz dual-core Cortex A9 CPU and 1GB of RAM inside. As for ports, the tablet hides micro-HDMI, mini-USB, and MicroSD away underneath a dust-cover. I thought an error had been made when I heard mention of mini-USB (instead of micro), but we’ve double checked and it is confirmed that the Thrive 7 has a mini-USB port instead of micro-USB. Why Toshiba went with mini-USB instead of micro-USB is unclear. However, you will be able to charge through the mini-USB port, or through the docking connector on the bottom. I think I speak for most of us when I say it would have been awesome to see full-sized HDMI/USB/SD on the Thrive 7, but I suppose they couldn’t cram all of that in the chassis of the 7″ form-factor. In addition to the aforementioned ports, you’ll find a volume rocker, lock/power button, and rotation-lock switch on the Thrive 7, just like the Thrive 10. There’s also a 2MP front facing camera and a 5MP rear sensor. At 11mm thick and 399 grams, the Thrive 7 won’t be the thinnest or lightest tablet on the market, but it’s trimmed way down compared to the Thrive 10 which is 16mm thick and weighs in at 725 grams. 16/32GB capacities will be offered. Though the Thrive 7 is focused on mobility, Toshiba says it has no plans at the moment for a 3G version of the unit. 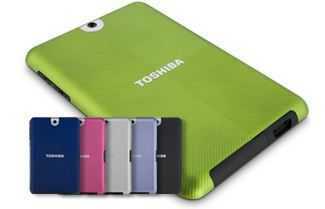 Toshiba will be offering a range of cases for the tablet, including one which will allow the device to be propped up in both landscape and portrait modes. To make use of the docking connector (not found on the Thrive 10), Toshiba is readying a sort of multimedia dock which will play nicely with a Bluetooth keyboard that will also be offered with the device. Pricing will be revealed closer to launch, which is planned for early December. Remember that commentary we posted on Liliputing’s initial hands-on impressions with the Toshiba Thrive? Well now the device reviews are starting to roll in and we though it was a good time to let you know what the world thinks about the device so far (or at least the part of the world that got their hands on the device early). First off the bat, you have to keep in mind that Toshiba is a television company, and that culture, along with a few others, plays into the product positioning of the Thrive in its competitive market. With that culture comes the baggage of marketing words applied to product packaging and websites that do not necessarily translate to enhanced capabilities. I mention this because, while a lot of the media reviews are generally warm on the Thrive, I noted a recurring trend of enhancements that the Thrive claims to have, but do not really result in anything “better”. Features like “Resolution+” do not appear to add much to the Thrive’s value, for instance. One feature that is advertised and does result in real world results is the full-size USB port combined with Toshiba’s custom file-manager program. Laptop Magazine’s Avram Piltch found that both the port and the app functioned as advertised with USB thumb drives and external USB hard drives. SD memory cards worked well with the file manager app when the cards were inserted. Remember that this is a full-sized SD card port. I can hear the sounds of photogs all over rejoicing at the concept of carrying the tablet around and immediately seeing their photos “developed” on a larger screen. I can not speak for all photo buffs, but I know that looking at my shots on my Sony Alpha a350’s LCD does not tell me enough about how the shots look on a big screen. Toshiba’s implementation and the decent reviews so far lead me to feel that the tablet is a shoe-in as a rambling shutterbug’s companion. Video performance-wise, the Thrive scored better than the category average in the An3Dbench. 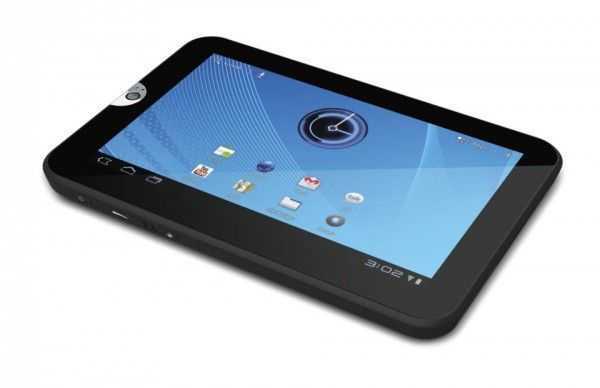 It also bested the Samsung Galaxy Tab 10.1, regarded by many as the genre-leader in Android Honeycomb Tablets. It is outpaced by the Asus Eee Pad Transformer however. Laptop Magazine’s benchmarks can be seen here. As I mentioned at the outset, Toshiba is a company driven by a few paramount sub-cultures, and their background as a consumer, and especially budget, PC company definitely influenced the Thrive’s design as well as the TV culture I mentioned earlier. Therefore, the Thrive comes pre-loaded with a dozen or more apps of Toshi’s choosing. User value with these will vary, as many are limited trial versions. Among the apps included are QuickOffice HD, LogMeIn Ignition, PrinterShare, and Kaspersky Tablet Security. I have personally found Documents-to-Go and Lookout security to be preferable alternatives to the former and latter apps mentioned, so definitely consider whether or not you want to jettison some of the Toshi apps when you are doing initial setup. Of course, I did not see mention in the reviews if some of these apps are locked and cannot be uninstalled. I have found this to be the case with several Android devices that I have owned. Model pricing is $430 for 8GB, $480 for 16GB, and $580 for 32GB, which stacks up well against iPad 2 pricing. The full size ports offer multiple options for expanding that storage capacity. Not all files work well, however, especially HD video files, if users try to play or edit them from non-organic storage. The downsides to the Thrive are primarily size and weight. Users will have to decide if the trade-off are worth it for all of the expansion and utility options the Thrive offers. Also keep in mind that with heft comes durability. I feel fairly comfortable with my Motorola Xoom’s soft-touch, textured back, and durable feel, and while my iPad is lighter, its smooth back and light weight always make me nervous when I do not have it in a case. Similar thoughts should be considered by potential Thrive buyers if they are comparing that choice to other, lighter weight Android tablets. There is a known issue where the Thrive will sometimes not wake from sleep. Because most buyer’s typically fall in love or out of love with a device in the first 3 to 5 days of use, it might be worth giving it some time for Toshiba to roll out a firmware fix before consumer’s get onboard the Thrive train. Toshiba indicates that they are aware of the problem, and a fix is being investigated. No word on when it will arrive. Check out some of the reviews at the outlets below. These are just a few of the ones we checked out, and we are sure there are more out there. We had one commenter on the initial hands on report. How about now? Have the reviews brought any more readers into the potential buyer fold? Or do you feel that the word on the street encourages you to continue looking at other alternatives? Sound off in the comments below! There is a part of design that is math and engineering. Weight, power, SAR ratings, maintenance envelopes… the basic stuff you get in any mechanical or systems engineering curriculum at your friendly neighborhood college. Then there is part of design that is art. And an additional part that is empathy; that part where the designers try and guess the subjective viewpoint some users will take, and use that to drive some of the design trade-offs they choose to make. Why do I wax so poetic about the art of design? Because I think Toshiba deserves some credit for making some bold moves in its design choices resident in the Toshiba Thrive [tracking page]. Our pal Brad Linder over at Liliputing got his hands on a demo unit and offered his first impressions. What has me most impressed about the Thrive is that Toshi went with function over form, and that’s not something easy to do in the face of the class-leading iPad. The primary focus of the Thrive is for the device to offer hooks into more standard ecosystems and infrastructures that most tablets do not. The list of proprietary apps that come pre-loaded on the Thrive is a mile long. One of these implementations that jumps out at me is the app that allows you to connect to universal plug-and-play (UPnP) devices on your home network. This should make the Thrive capable of reaching out and touching NAS units and UPnP capable DVRs. The thought of accessing all of my video files and photos on my NAS or streaming from a compatible DVR is very compelling, to say the least. Typically, a long list of proprietary apps on an Android device today is indicative of a lack of Google licensed apps. Fortunately, the Thrive comes with the standard (properly licensed) Google app package, including Gmail, Gcal, and, most importantly, access to the Android Market. The device runs Google’s Android 3.1 Honeycomb OS. Thankfully, this OS has recently received updates that add more functionality when a tablet interfaces with USB devices that require USB-Host. Toshiba strives to take full advantage of these updates by equipping the Thrive with a full-size USB port, as well as an SD Card slot, mini-USB, and full-size HDMI. Full-size means not having to compromise or hunt for adapters for USB components a user would like to pair with the Thrive. It means reaching behind your TV and grabbing the standard HDMI cable you might already have plugged in to a device and connecting your Thrive instead of ordering a min-HDMI cable for one device. While I am very happy taking only my iPad along on a photo shoot and using the camera adapter to immediately view photos on a larger screen, the problem is just that…I have to use an adapter. It is an extra piece of gear on my photo checklist. A lot of people might say “So what? Big deal”, but the point is that it is just one more thing that might be forgotten. The Thrive eliminates the need for taking along these pieces of pocket lint and lets you run the devices as they were originally intended. All of these advantages come at a price, however, and that is primarily in weight and girth. The Thrive comes in at 1.6 pounds. That is about a quarter of a pound heavier than the iPad 2, and around 0.35 pounds heavier than the Samsung Galaxy Tab 10.1. Toshiba’s web site does not officially list the dimensions on the product sales page, but you can see photo comparisons against the Samsung Galaxy Tab 10.1 here. I am personally ok with this trade-off. Much ado has been made recently about how a device is not innovative unless it is the lightest device in its class. However, I think that weight, like any other characteristic in a consumer electronics device, is an attribute that can be traded for other advantages. I spend a lot of time with my tablets in cradles or on easels. I do not mind holding a tablet with two hands. The Toshiba Thrive also has a soft-touch, textured back, which, as I have mentioned before, can go a long way towards making additional weight a non-issue. Any of these trade-offs might be worth it to a user more concerned with breadth of functionality over weight. 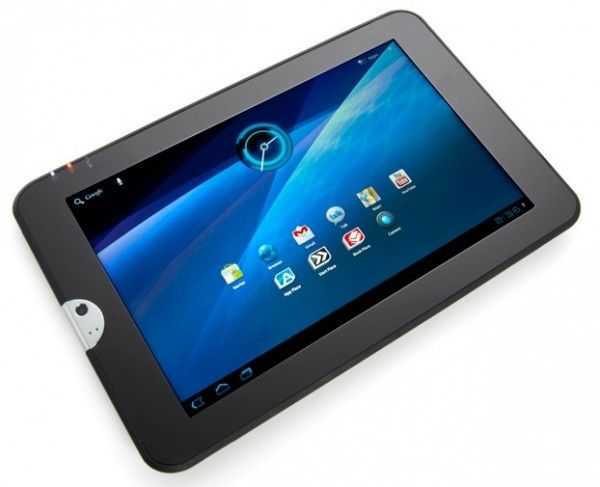 The Toshiba Thrive, with models ranging from $430 to $580 for 8GB, 16GB, and 32GB models, is priced very competitively against other 10inch tablets on the market. Liliputing has yet to post a full review, but Brad appeared to be very interested in Toshiba’s approach. One problem with the tablet market these days is that there are a ton of “me too” devices in the retail and online channels. Each of the manufacturers is going to need to come up with a riff on the general theme that grabs the attention of potential buyers. Toshiba’s approach of hooking the Thrive into more conventional desktop and laptop infrastructures might just do the trick. Liliputing’s video of their first impressions is embedded below.